We enjoy passing along the experiences our readers have and the prices they paid for their heating and cooling components. 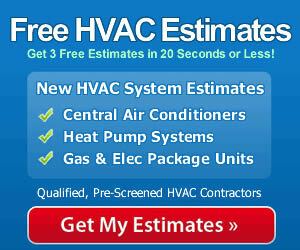 You can find more on our HVAC Prices page, too. Today we share one from Greg in Rolla, MO about the Carrier Performance 80 Gas Furnace. “We’re in the process of building a 1,100 square foot cabin in the northern Ozarks and recently made the decision to install a Carrier Performance 80 gas furnace. I also considered Goodman, Trane and Amana but settled on the Carrier mostly because of the reputation the brand has. Price-wise, Carrier units can be 5% to 15% more than comparable equipment, but if I get better/longer service from it, I won’t complain. I chose an 80% efficient unit because, as much as I’d love to spend every weekend at the cabin, if I get there one weekend a month through the winter I’ll be happy. I checked out the payback time for going with a more efficient furnace, like a 90%, but it just wasn’t worth the extra expense for our needs. The Carrier Performance 80 has solid, reliable features I like, without anything too fancy that would make it less affordable. I have a Carrier Infinity series furnace in our permanent residence, just didn’t think the cabin required that level of performance, especially since the system doesn’t have an integrated air conditioner.